Certificate for one-night stay for two (double occupancy) at Morgan Run Club & Resort in Rancho Santa Fe, CA. 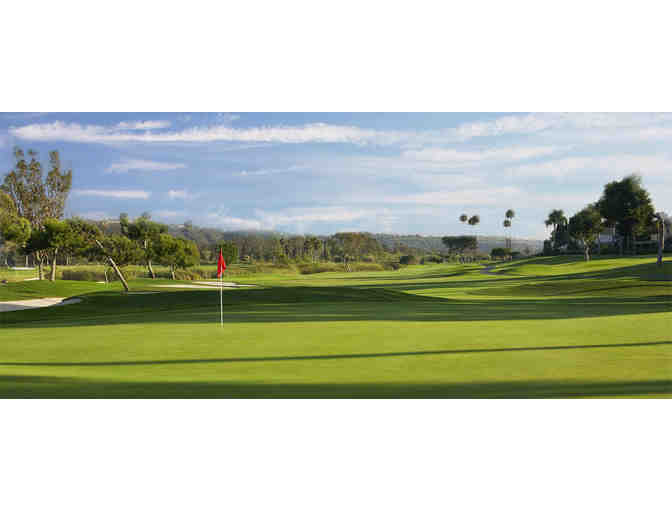 Includes one round of golf for two with cart and resort fee. Advanced reservations required. Based upon availability. Golf for Monday- Thursday only. Black out dates apply. Not valid during Holidays. Stay must be completed by November 15, 2017. Taxes and gratuities not included. Certificate is non-transferrable, may not be substituted, cannont be replaced if lost or stolen, cannot be extended beyond expiration date, and has no cash value.